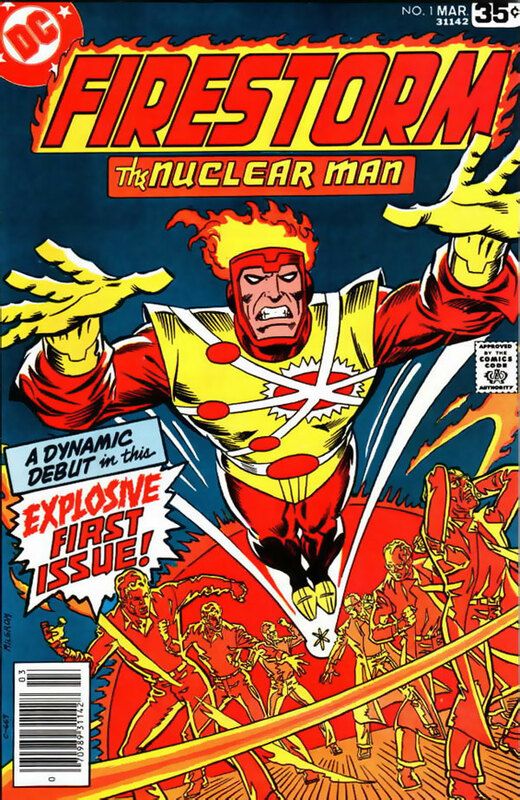 As we heard from Al Milgrom, this collection will include the unpublished Firestorm the Nuclear Man #6 and some other bonus artwork! For those of us that already own these issues, I strongly encourage you to buy the trade paperback anyway. First, it’s a great read and will be a nice collection. Second, let’s send a clear message to DC that we’ll buy classic Firestorm comics in trade paperback form. After this trade, I want THE FURY OF FIRESTORM collected! Support Firestorm! It’s not just a slogan! Seriously, SUPPORT FIRESTORM by buying this trade paperback! Fan the Flame! Posted in: Al Milgrom, Firestorm #01: Original (Ronnie/Martin), Firestorm comic vol. I, Flash back-up stories, George Perez, Gerry Conway. Hey, congratulations on this collected release! I’ll be picking up my copy; here’s hoping there’s more to come. Literally got weak in the knees when I saw the B/W pages and realized that the long-missing Firestorm issue 6 was there! I picked up my copy today. Now I have to try to distract the kids for a 1/2 hour so I can sit down and read it. Yay! I had been on the fence about buying this trade since I already have all the individual issues collected within, but learning about the inclusion of unpublished issue #6 has me psyched about getting it. I will have to tell the manager of my LCS to get a copy for me asap.